The Transatlantic Economy 203 annual survey offers the most up-to-date set of facts and figures describing the deep economic integration binding Europe and the United States. It documents European-sourced jobs, trade and investment in each of the 50 U.S. states, and U.S.- sourced jobs, trade and investment in each member state of the European Union and other European countries. It reviews key headline trends and helps readers understand the distinctive nature of transatlantic economic relations. Key sectors of the transatlantic economy are integrating as never before. Europeans and Americans have become so intertwined that they are literally in each other’s business. These linkages underpin a multi-trillion dollar economy that generates millions of jobs on both sides of the Atlantic. 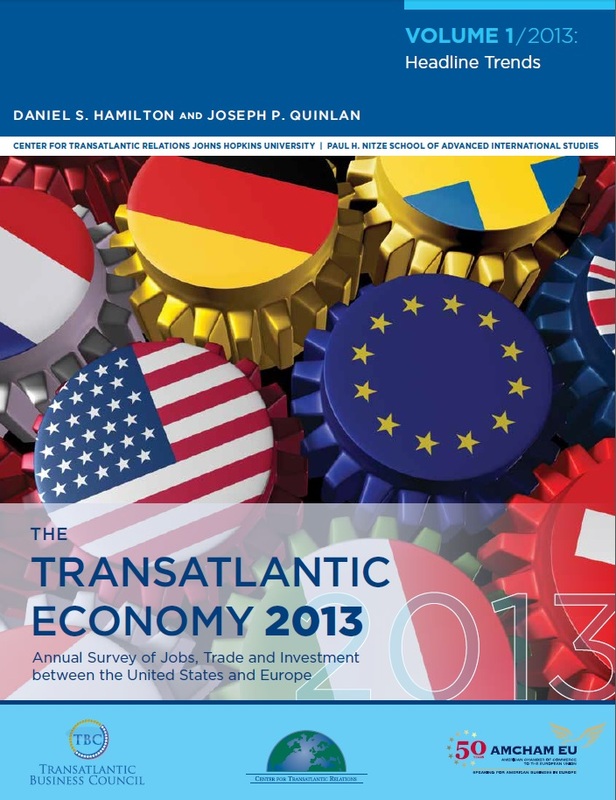 The Transatlantic Economy 2013 offers a clear picture of the ‘deep integration’ forces shaping the U.S.-European economic relationship today; shows how these interdependencies have shifted in recent years; and explains how decision-makers can address the accompanying opportunities and challenges.